The 2017 Black Friday and Cyber Monday are on the corner so I wanted to write a short post about the things you should be careful with when you jump into the best deals of the year. Setting up a website is not an issue nowadays but choosing the right web hosting provider is vital. Web hosting services are getting cheaper each day with some provider charging a mere 0.85 cents for their hosting services. Though you will not get a fantastic package, paying 0.85 cents for a web host is just unbelievable. Don’t choose a shoddy web hosting provider as chances of them packing their bags and closing their business are quite high. You can always look at the quality of their site’s web page. Those that are poorly done are the ones that you should avoid. Uptime is crucial for your website. Consider this, 99% uptime means that it is highly possible that the server would be down for 3.65 days in a year. If you are an online business owner, this means a loss in revenue for almost four days in your business. If the web hosting provider guarantees 99.9% uptime, this means that server downtime is highly unlikely. It also signifies that the web hosting provider is well equipped. 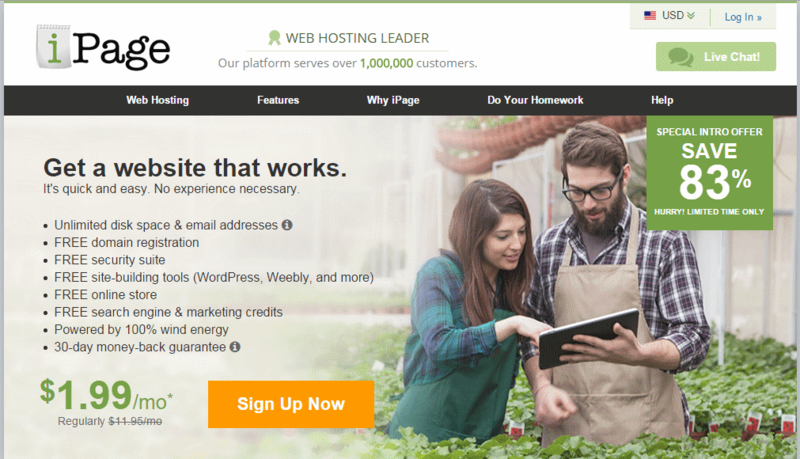 Some web hosting provider charges as low as 0.85 cents a month. However, you will need to pay for their service for at least a year as stated in the contract. On the other hand, cheap hosting services might charge you a setup fee. Try getting a hosting provider that charges above $1 per month for their service. It would be much more reliable. Bluehost.com is charging $1.50 per month, and you will even get a free domain. Terms are you will need to subscribe to their service for six months minimum. Get a hosting provider that gives you a free domain. A domain name would make your website much more professional. If the hosting provider does not provide a free domain, try getting one for under $10. Your web hosting package should at least provide you with a minimum of 5GB of web space. Try not to get anything under 1GB of web space. It would be even better if you get a 50GB web hosting package. This would enable you also to build an online community. Bandwidth is crucial, especially for your online business. Having sufficient bandwidth would help you avoid unnecessary interruption to your service. Try getting at least 10GB of bandwidth if possible. I would prefer those that provide 250GB of bandwidth per month. Check whether the web hosting provider includes a database into your package. For Microsoft web hosting package, you will most likely get Microsoft Access or MS SQL. For Linux, it is common to acquire MySQL. Finally, check for any free software provided by your web hosting provider. You can use your software to develop your website, but it is even better if you get free software from your hosting provider. Check whether they provide you with WordPress, Joomla! Or Mambo, Picture Gallery, Website Statistics and osCommerce. As for incentives, some even give a Google Adwords coupon. As a conclusion, choose your web hosting plan wisely as you will be subscribing to the service for a long time. Here is a fantastic list of the best deals. This is the moment to buy hosting or domain names. Try checking Bluehost, iPage, and Siteground. These are all good web hosting providers. Do you know what uptime is? It’s the opposite of downtime, the time your website is unreachable. It’s the single most important thing of a hosting account. We have recently signed up for an account at iPage and thought I would write a short report/review about that. At least not at the price level most small businesses or casual bloggers would consider a viable option. I mean I’m sure that for 100 bucks a month you can find a company that offers 100% uptime, but it’s still questionable if they can keep it. In my experience with a dozen or so of the mainstream hosting companies is that the 99.9% uptime guarantee is quite sufficient. I have not noticed any downtime, other than a hacking scandal at one of them. Bottom line, don’t look for 100% uptime unless it’s mission critical and you have loads of money. With iPage, most of the downtimes you will experience will likely be scheduled downtimes. Need more horsepower for your website? iPage is ready to serve you. Virtual Private Servers give you the power of a dedicated server for a fraction of the cost. It functions exactly like a dedicated server, but with lower performance. A dedicated server is set up only for you. No other customer can access it; the resources are used exclusively for what you have put on the server. Before writing this post, I have looked around on Google for some iPage reviews. There were a couple of negative ones, but most of them illustrated quite a positive picture. There are many detailed reviews of various features, so I will only mention them briefly here. You can set up WordPress, Joomla, Drupal with only a couple clicks. You can add on domains to your account. You also get a free domain with your account when you sign up. You can add an unlimited number of domains to the account. There is no limit on FTP accounts and storage. MySQL databases are also unlimited. If you want to have a professional looking email with your domain name in the address, iPage has an easy solution for that too. You don’t have to be a 10-year veteran to find your way across the multitude of tools iPage offers. The vDeck control panel is one of the easiest to handle I have ever seen. Should you go for the basic shared hosting, or rather for a VPS or dedicated server? I think for most of you guys out there, the basic shared hosting is the ideal one. I have noticed that people often overestimate how much they need regarding server performance. For a starting blog, you are lucky if you get 100 visitors a month unless you are some celebrity. If you are moving an existing project from a different web host, then it’s an entirely different story. You will know the exact requirements based on your experience with the other web host. There are numerous articles on how to choose a domain name for your website. Ideally, it should be under ten characters, with no dashes and numbers in them. We don’t follow that advice on Managed Hosting 4 India, do we? If you look at the most prominent sites, they have goofy names like Google, Twitter and a bunch of others. So I would advise something like that. I would also go for .com or .net, although there are a lot of new TLDs. It’s just a matter of whether your visitors will be able to remember it. There are a lot of hosting companies out there, but one stands out. That’s Inmotion. It’s the hosting company I recommend to my friends and colleagues. In this brief review, I will share why I think they are an excellent choice for virtually any size of website. Based on several websites hosted by them for several years, I can only say that their uptime is what you would expect from a premium hosting company. It’s well over the standard 99.99% in my experience. or they cost an arm and a leg. I believe I don’t have to explain the importance of uptime to the readers of this blog. Do I? You will probably start with one of the business hosting plans. According to the majority of the Inmotion Hosting reviews, that’s more than enough for most websites just starting out. But if you grow that out, you can easily upgrade to a VPS or dedicated server. It’s all in-house. You work with the same people and the same standard you get used to while you grow your website. When would you need a VPS or a Dedicated Server? VPS stands for Virtual Private Server. It’s the little sister of dedicated servers. It’s a dedicated server separated into several pieces, acting as a separate server. The resources are dedicated to you so that you can expect better speeds, uptime, more memory and disk space. With Dedicated servers, it’s taken to the next level. A whole server serves only your website. It’s the ultimate performance and security. Free SSD: Solid State Drives deliver impressive speed compared to traditional HDDs. You get them with every Inmotion plan. Free domain name: You get one domain name registration for free with your account. If you don’t register one at your account setup, you will receive credits that you can use anytime in the future. Industry leading 90-day money back guarantee: That’s right, it’s not a typo. For 90 days if you are not satisfied, you can get your money back. Free Data Backups: Most web hosts charge extra for this. At Inmotion your data is regularly backed up, so if you have any troubles with your website, you can revert to a previous version. Free 1-Click installer: Over 310 web apps (like WordPress) are at one click’s distance. Multiple programming languages supported: Use PostgreSQL, MySQL, Ruby, or PHP, whichever suits you better. Inmotion’s servers are compatible with every one of them. Secure IMAP email: Very few web hosts offer secure IMAP emailing. You can access mail from anywhere on any device. “Max Speedzone”: Inmotion utilizes multiple data centers. The closer it is to you (and your prospects), the faster the website will load. Premium bandwidth providers and advanced routing technology ensure that speeds at Inmotion are better than at their competition. SSH access: It’s a great feature to have. If you don’t know what it is, you will likely never need it. Google Apps plugged in: Do you want to use Gmail or some other Google service? It’s all built into cPanel so that you can set them up with a couple of clicks. Inmotion hosting is committed to reducing their carbon footprints. They have opened their first green data center in Los Angeles. More and more hosting companies realize the importance of being green. You have set up your website. Now what? It’s time to get some visitors! Through partnerships, Inmotion hands you ad credits to Google, Facebook, Bing, and Yellowpages. You can jumpstart your business right away! Before you do business with any company, it’s probably good to know how they’ve handled their customers in the past. An A+ BBB rating shows that Inmotion is willing to take the extra mile to make sure that their customers are fully satisfied with their services. Check out this exclusive offer. It’s valid for a limited time! Welcome to Xtremweb! This web site provides quality information about web hosting, cloud based services and everything related to online marketing. We’ve just started out, so check back soon. You might be interersted in XtremWeb, which is an open source software to build lightweight Desktop Grid by gathering the unused resources of Desktop Computers (CPU, storage, network). Can’t wait around reading HTML books or waiting for FedEx to rescue your software from that island it washed up on? Well here’s a fast way to get to started. I’ve designed a simple, 2 column template that you can download and use to insert your own information and start learning about HTML. It includes an HTML 4.0-compliant style sheet, a fast loading header and navigation table, and a content table. You will need to save the page to your machine.At the command menu, click on File > Save As.Save the page in the “Source” or “HTML” format and name it whatever you like so long as the extension is “.html” (Okay, you could make it “.htm” if you really want). To start using the template, open it in a plain text editor.Your browser may have an option for editing HTML, such as:Netscape — File > Open > Page in ComposerIE — You need to open the page in Notepad or something similar. Opening in MS Word will result in the addition of new code and reformating by the program and is not recommended. You’ll also find some comments and examples to help you along. In addition, check out the online resources listed below for additional help in your experiments. I recommend saving your test page with a new name as soon as you load the template into the text editor. And if you somehow destroy the template beyond all repair, just come back and download another one. This is a paragraph with <b>bold</b> and <i>italic</i> text. This is a paragraph with bold and italic text. For my money, the best set of introductory HTML articles available. since you have a template, you can start with the “Teaching Tool” or the “HTML Cheat Sheet”. An impressive online tutorial with examples. Note that you really don’t need to do any fancy font coding because of the style sheet included in the template. Once you have your new design ready it’s time to find a host for it. There are several studies done about how peer-to-peer cloud computing can help reduce CPU usage and provide a better reliability. A flat page that displays the colors and their codes for quick reference. It will also allow you to see what the colors look like on your monitor — but remember, each monitor will see the colors a little differently. Home of the Visibone company which sells HTML-related reference cards and software. they’ve greatly expanded their offerings in recent years, so you may want to keep any eye on new products. This is Visibone’s online interactive color chart. You can select colors from their hue-based color wheel and see how they work with each other, either side by side or as link or text colors on top of the other colors. Very handy way to find out that you really can’t use that bright blue you love with the dull red. It is very easy to start a website nowadays. It has never been so easy as it is today. We have an abundance when it comes to web hosting companies and related resources – bandwidth, storage space, CPU power. We would think that this really makes the whole process of going online more simple but instead it has another effect – it is quite overwhelming to make a difference between the providers when of course all of them pay the nicest picture about themselves thus trying to persuade us that they are the one that we should deal with. When I started my websites back in the day it was easy because I had someone near me who knew this field and helped me in everything but those who are newcomers I think they have a hard time picking the right web host. 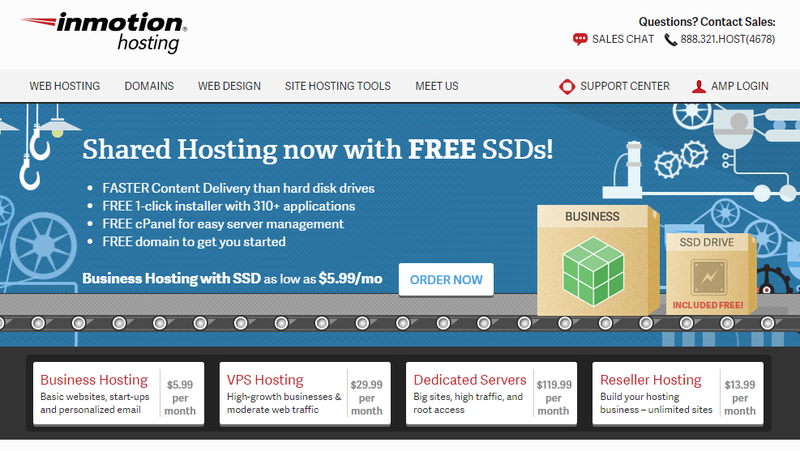 Today we will jumpstart this process by suggesting a great alternative – A2Hosting. This provider is top-notch in all crucial areas. Let’s take support for example. I find it really annoying when I have to wait fifteen minutes to be able to contact a web host via live chat. It’s just not right, that’s not what I pay for. But when you host with A2Hosting, you won’t meet this phenomenon. On average, I wait one and half minutes after I contact them via live chat. I find this awesome compared to the fifteen minutes. And of course I should also mention that the support guys on the other end are not from Asia. Not that I have somehting against them, but I had occasions with other hosts when their English was not really there and we were having a hard time understanding eachother. I could ramble about this provider all day, but instead I’ll give you the link to an A2Hosting review in which you will find all the details you might want to know. In the review that I pointed out above the only negative that they come up with is pricing. They say it’s too expensive. Yeah, we can say that generally they are a little bit more expensive compared to their competitors, but I don’t think that this is a negative. We should not look at prices but value instead. A good example are cars. Both the cheap and the expensive car will get us where we want to get, but one will provide us more security, speed and comfort. The same is true to web hosting. If we want to have a good nights sleep and not worry about whether my website will be hacked or whether it will be down for hours, we have to pay the price. In reality there is no such thing as a free lunch, we get what we pay for. The other great thing about A2Hosting is their dedication for speed. These guys really make it happen when it comes to fast websites. And when I say really, I mean really. First they started with Solid State Drives, which is available with all their plans, then added Turbo to their arsenal, which results up to 20X faster hosting experience. And these are real results. If you want to find out more about A2Hosting make sure you chekc out the source that I gave you but if you have already made your decision just go to A2Hosting.com right away. What is the Purpose of Creating a Website? Let’s start at the very beginning of building a web page. Now write down what your message is and who the people are you’re addressing. No, no, really, write it down. This isn’t an idle exercise or one of those warm, fuzzy, pop-psych, inspirational tricks. This is the purpose of your work. This determines everything else from format to content to navigation to promotion. Your web site is a tool to communicate your message to your target audience. And the purpose defines the tool; the tool does not define the purpose. True, anything can be a hammer, but the purpose of the tool — to hammer something — defines the object, whatever the original name and purpose of the object. I speak as someone who has turned numerous objects (Corning Corel cups, shoe heels, barbells, wrenches, and so forth) into hammers on occasion. Philosophical meandering aside, defining the purpose, the goal if you wish, of the site and each page is essential to a successful professional site. What message are you trying to communicate and to whom? Don’t be distracted by how you’ll reach your audience or what you tools you’ll use to convey your message. Define the message and your audience correctly and the rest becomes easy. An architect can’t design a building without knowing how it will be used and by whom. Once you clearly and succinctly know the purpose of your site, you can figure out what you need to build it. You can also determine the right tool for the job. Or a reasonable substitute, if the right tool isn’t available. And you can determine what tools can’t be substituted. https://www.xtremweb.net/wp-content/uploads/2016/10/xtr-logo2.png 0 0 XtremWeb https://www.xtremweb.net/wp-content/uploads/2016/10/xtr-logo2.png XtremWeb2015-02-19 18:52:202015-02-19 18:52:20What is the Purpose of Creating a Website? or to make samples available to publishers, editors or authors. Often a writer’s site will cover all three areas by creating different sections within the same site. A writer particularly needs to stay on target with his or her site. The purpose of the site directs the content. Misplaced focus is the number one mistake made by writers posting sites. Is the site to attract and support other writers? Is it display subject expertise for an editor, potential book buyer, someone looking for a speaker? Is it to build a “brand name” for a series of titles by the writer or for the writer his or herself? I’ve read numerous techniques in writing publications to help writers imagine their audiences. A writer should put these techniques to use when designing his or her web site, so he or she can build the site for the correct target audience. For example, do not build a site with content for other writers (e.g., agent lists, writer’s resource links) if the purpose is to establish the writer’s expertise on stock market investing for retirement. A personal decision can be made about including out-of-print, but I recommend signing up for a bookstore Affiliate Program and linking your titles to the bookstore ordering system. If you don’t wish to receive email or material directly, at least put the mailing address of your publisher or agent. Who would object to a fan letter or two? And it might be something more lucrative. Your contact page may also be used to build a personal mailing list for promoting future releases and notices of page updates by including a signup or contact form. Building a mailing list can be useful downroad. Getting a little background information about the person signing up can also build your private list of experts to consult when you’re working on something new. This should include any forthcoming titles or publications such as articles, author’s readings, book signings, conferences, public speaking engagements or other personal appearances, award nominations, awards and so forth. Usually something of the author’s background, philosophies, and what not. This is the appropriate place to put any kind of brief personal information that you want to share. It should be reasonably brief. Remember the performing artist’s motto — always leave them wanting more. If nothing else, a repeat of the cover jacket information is useful. How elaborate the author gets with this site category depends greatly on the author and their self-promotional comfort level. The more the author can make this material relate to either the kind of writing he or she does or the target audience for his or her books, the better. Danielle Steele could fill hers with schmaltz and glitz and large, rich quantities of white space while Doug Copeland might get away with a Wired-style layout including excerpts of his work in a Flash presentation using hip hop alternative background music. Of course, navigation must always be clear, clean and consistent throughout the site. The additional content here is not to promote a specific title or series, but content designed to promote the author. In marketing terms, to help establish the author’s “brand identity”. In other words, to establish the author’s expertise or command of some area, or to create a persona for the author. For example, Stephen King will forever be “branded” as a consummate horror and terror author. Danielle Steel is identified with the “glitz” novel — and lifestyle. Terry Pratchett is associated with humorous, allegorical fantasy. And if someone says “Julia Child”, the first thought is food and cooking and someone sunny, warm and personable. The additional content should support the author’s fundamental purpose. Therefore, a mystery writer who wants to position herself as an expert on forensic pathology might, for example, cull interesting true cases for a “Strange But True” section, Forensic news and breakthroughs for an “In the News” or compile and comment upon online forensic links and resources (such as the LA Morgue’s store). An historical romance writer who wishes to appeal to Regency readers might decide to create information pages on subjects such dress, deportment, historical events during the time period and so forth. Whatever the subject of the content, it should remain consistent. Even an author whose professional identity is “Renaissance Man (or Woman)” must do so in a consistent fashion. For example, posting essays on topics ranging from “Baseball: If We Can’t Fix the Game, Can’t We At Least Fix the Concession Stands?” to “The Neo-Rococo Revival in Industrial Design” to “Democracy After the Birth of the Pregnant Chad”, under a collective banner of “Essays from the Unquiet Mind of [insert author’s name]”. An author’s professional site should not mix totally unrelated materials or obviously personal material with professional material. The personal can be used as part of the professional material but with conscious intent and an awareness of how it directly relates to the professional material. The content used to establish or reinforce an author’s identity may overlap or be similar to content that promotes a specific title or series, but is not the same material. The purpose of the author’s promotion material is to appeal to the author’s primary target audience and establish the author’s authority. 1. Choose three keyword phrases and about five less important or more highly-focused phrases. Starting with words that you imagine people might ask a search engine for (e.g., the Yellow Pages category you’d be listed under), research what related phrases apply to your business that people actually use with the search engines. Be specific. You are never going to get to the top of broad categories. 2. Select which of these three phrases you most want to emphasize and use that in your title tag. Each individual page in the site should have it’s own title emphasizing the material on that page. The title should be no longer than six words if possible, and the keyword phrase is more important than the name of your company, though it is best to get both into the title. Do not waste words by including: “Inc.”, “Company”, “Co.”, “Ltd.”, “The”, “And”, or other articles and common abbreviations. If you have room in your title, see if another keyword can fit. 4. Include a link page and put it in your navigation. You may wish to call it “Resources”. The links page should be organized by topics and, ideally, a brief description as well as a link to the source should be provided. Check your backgrounds images at the web host door! Most background images distract and detract, making the web page harder to read and maintain. Don’t use complex, patterned backgrounds that tile across the screen. An actual web site for an actual business. Can you believe it? Notice that the backgrounds for the graphics don’t match and you can’t find, let alone read the text. To see the difference a simple background makes, check a couple pages with a common, marbleized background pattern. Or to see the difference it makes simply removing the background image from the AAR members list. Background images can be used successfully, however, it takes much more skill and restraint to create and use effective background images. A simple, single, flat image may be useful to a page design, providing visual clues to navigation or sidebar information. A background images, however can not make up for a weak page structure, design or content. There is no good design with a background image that isn’t also a good design without a background image. If a large, flat background image is being used, limit the amount and size of other images on the page. Faster is better for your critical information pages. Also remember that any other images must be made to match the page background image if one is used. This increases site maintenance and development complexity and costs. You save time, money and improve clarity by eliminating page background images. Having said all of that, I confess to using background images myself for a number of my clients. The two most succesful and easiest ways to use backgrounds are the flat, narrow, horizontal image that creates a vertical pattern on the page or the large, single image on flat background. The vertical pattern breaks the page into visual columns. These are usually matched to a table layout. Often the left-hand column effect is used for navigation. Us News & World Report makes effective use of the sidebar background graphic. Near the top of the page it provides a clear distinction between the navigation and the text. Farther down the page, it can be used for clean banners and information tables. The large, single image background goes in and out of fashion, but can be highly effective where there is plenty of open space on the page. A couple of effective examples can be found a www.lynda.com – The home site for Lynda Weinman, graphics designer and author. To learn how to make effective background images without making your site fatter than glutton on January 1st, check out “Making It Big – Large Background Images”. Because of browser differences, using background images with style sheets calls for a little coding finesse.